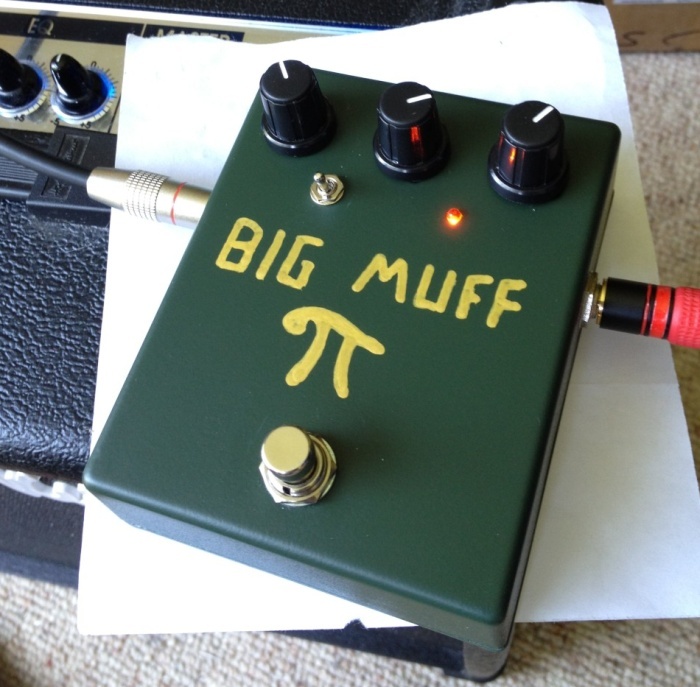 Being inspired by the Black Keys I decided to make Big Muff Pi clone, and inject some dirty, dirty grit into my guitar sound. The circuit for such a thing is readily available on gaussmarkov.net, which means all the hard work is already done, and you can enjoy building a sweet box of tone! The final product looks pretty good, and sounds even better. All for about $30 in parts! 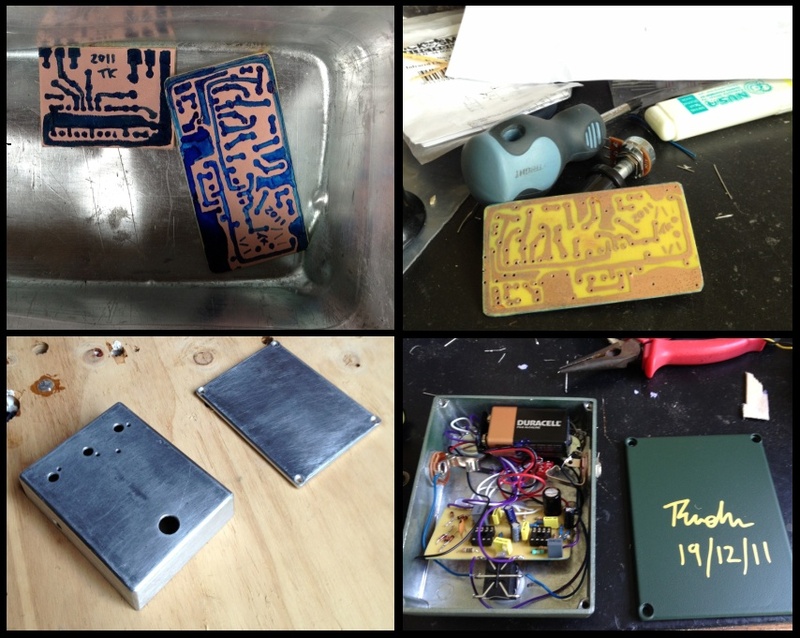 This entry was posted in Guitar, Projects and tagged big muff, guitar, stompbox. Bookmark the permalink.